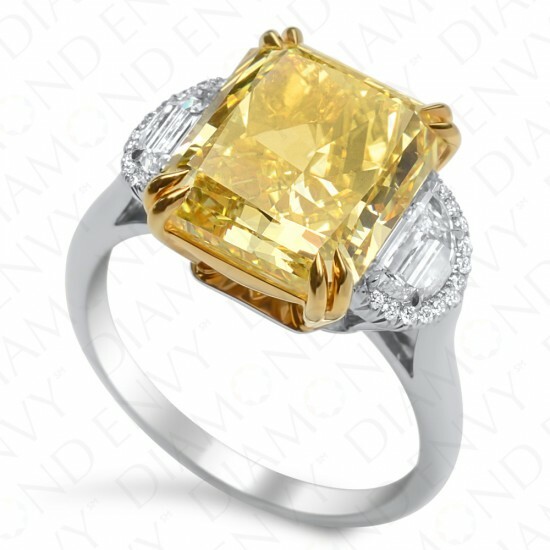 The 5.59 carat Fancy Vivid Yellow SI1 radiant cut diamond in this platinum and 18K gold ring is a presence unto itself. 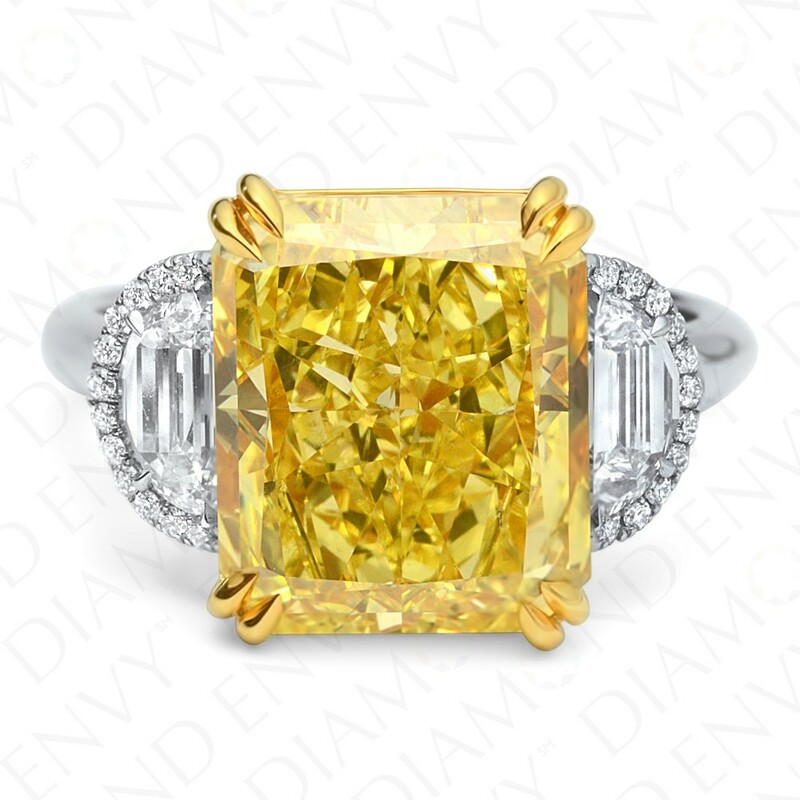 It is flanked by a pair of G-H VS1-VS2 half moons, 0.50 ct. 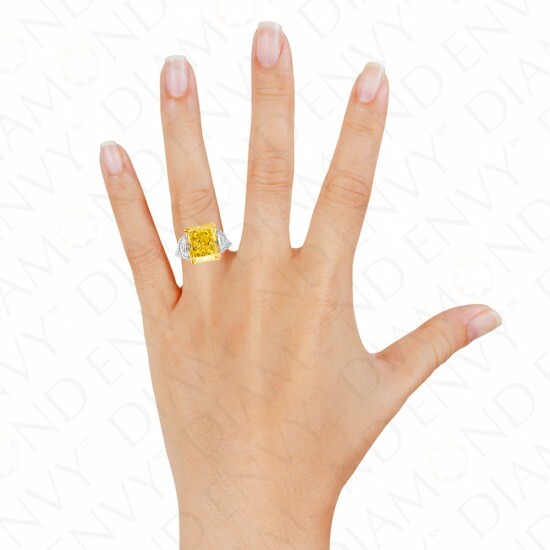 tw., that are framed by similarly shaped halos of E-F VS1 round melee diamonds, 0.15 ct. tw. 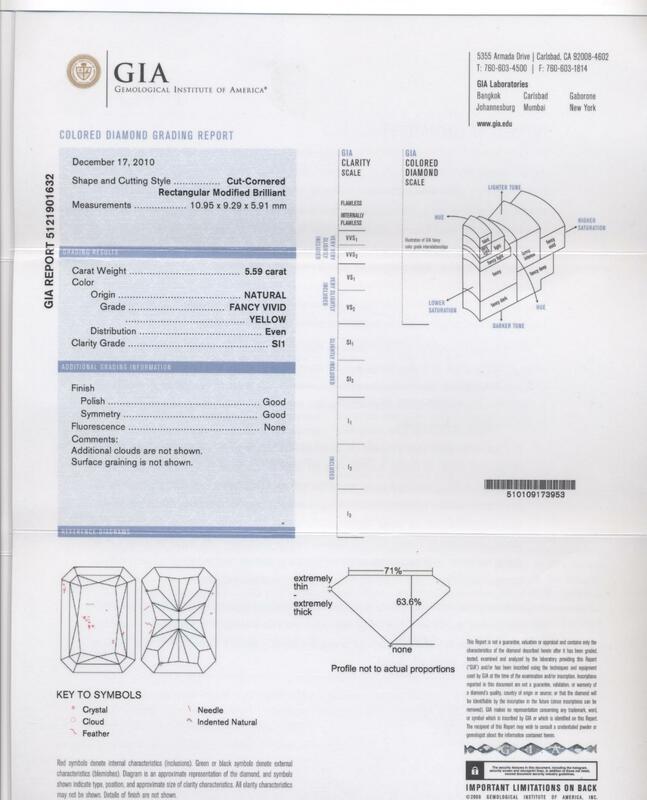 Metal weight: 6.61 grams. Center stone is GIA-certified.